NAMM 2014 press release: Redesigned from the ground up, this latest version of the award-winning ReValver software contains revolutionary amp modeling capabilities that capture the true characteristics of real tube amplifiers. ReValver is renowned for its industry-leading amp modeling accuracy, which is achieved bymodeling an amplifier down to the component level. 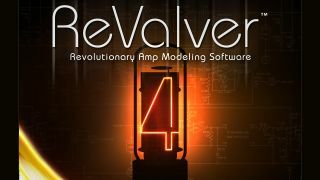 Now Peavey has updated and improved the modeling engine in ReValver 4, taking amp modeling to a whole new level of realistic toneshaping possibilities. The new ReValver 4 also incorporates a GUI and UX redesign and the ability to run on a Windows® tablet, plus other high-level features including GIG mode, ACT™ (Audio Cloning Technology) and RIR 2 cabinet modeling. GIG mode further expands ReValver's power as a live performance solution by allowing the user to load 8 presets into memory and seamlessly switch between them. The presets can also be assigned to MIDI controller switches. In addition, another primary consideration of the GUI and UX redesign was to make ReValver 4 the ideal solution for amp modeling on Windows tablets. As a result, the combination of ReValver 4, an audio interface, and a Windows tablet makes the perfect live performance rig. With improved Impulse Responses, ReValver 4's RIR 2 feature takes cabinet modeling to a whole new level of accuracy and realism by giving the user independent control of speaker configuration, microphone, and mic placement, allowing for almost endless tone shaping options. Plus, the new Pedal Board feature provides a familiar environment to build and edit an effects chain. With ReValver 4 also comes the introduction of the ReValver Amp Store, allowing users to purchase new amps, stompboxes, effects, and ACT content through in-app purchases. Users can begin with the free version of ReValver 4, and then simply purchase the additional content they desire.